Bridal Bouquet Recreation- Treat Yo Self! 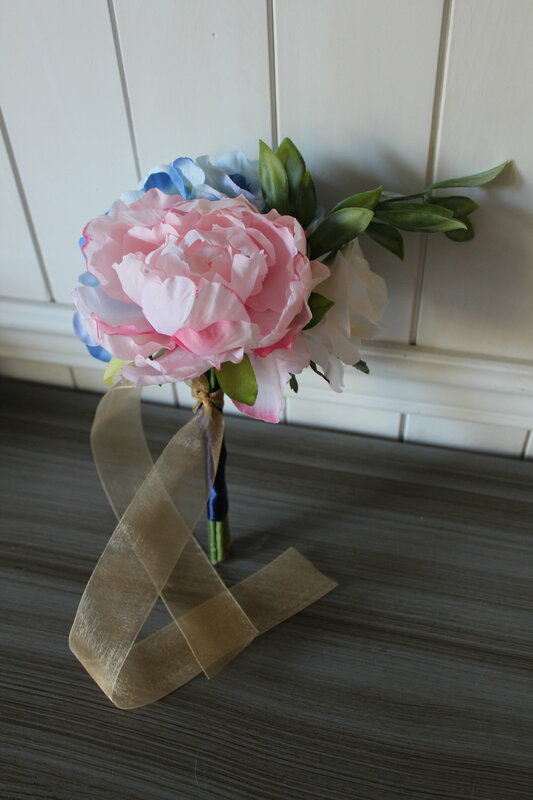 Katie emailed me a few weeks ago looking to have her bridal bouquet recreated in silk flowers. What I thought was awesome is that she was hoping to have her silk bouquet in time to celebrate Valentine's Day with her husband. Such a great idea and I love that she bought her bouquet as a Valentine's gift to herself and her husband. Treat yo self, right? 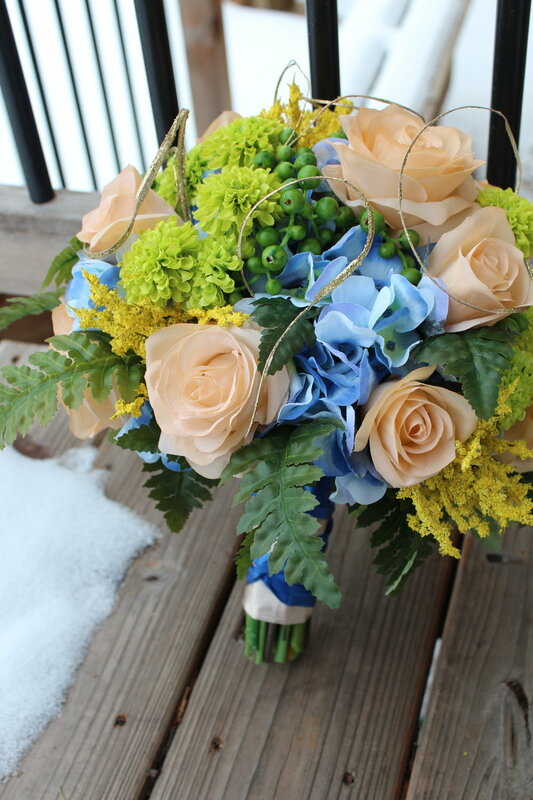 Her unique bouquet was filled with beautiful champagne Roses, blue and white Hydrangea, lime green Button Mums, green Hypericum berries, yellow Heather, Leather Fern, and these awesome twisty glitter twigs. So despite the weather being still cold and white up here in the north, I was able to track down these gorgeous spring/summer flowers and colors and put it all together to help Katie and her husband celebrate Valentine's Day together. 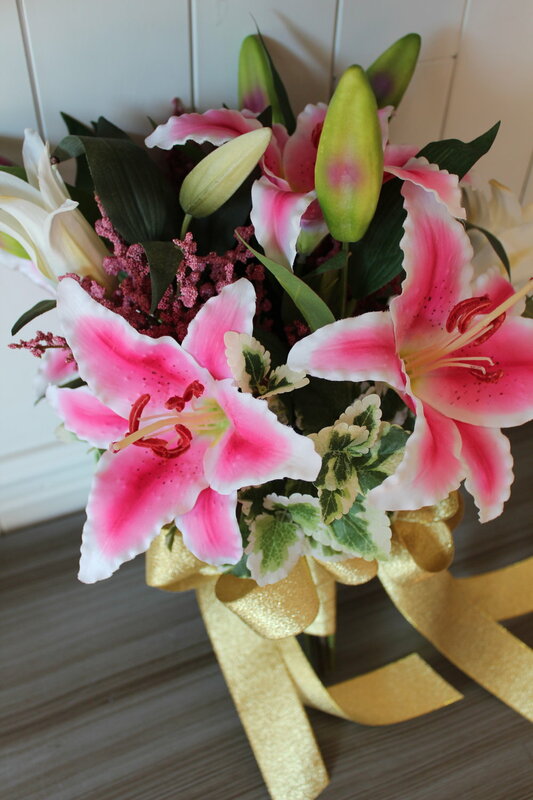 Take a look at her Valentine's bouquet recreation! 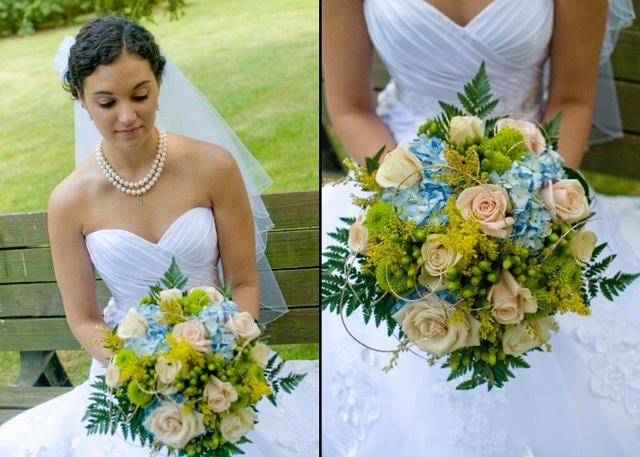 Here's the original bouquet and our lovely bride Katie! If you are in Pennsylvania and are looking for a great photographer, check out Catchlight Photography! You don't have to wait until the next Valentine's Day to consider this awesome gift! Got a birthday coming up? Treat yo self! Celebrating an anniversary? Treat yo self! Really like reliving your big day? Treat yo self! Contact me today to find out how to make bouquet recreation happen!